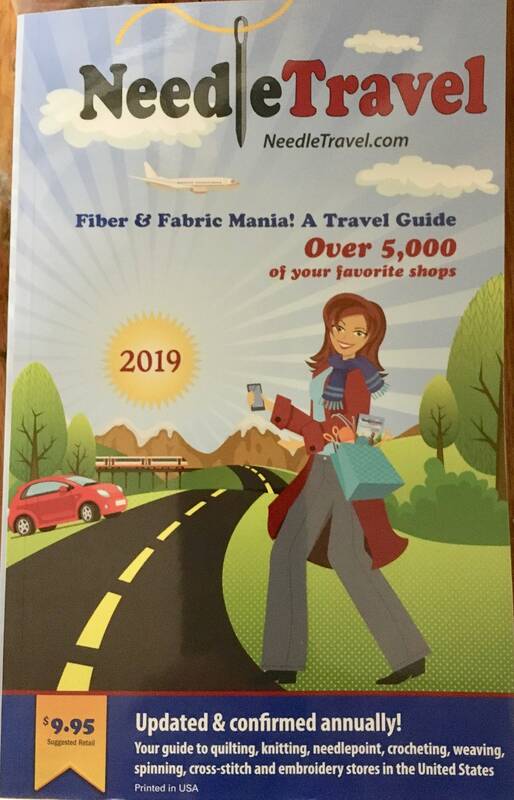 Needle Travel - a travel guide book for fiber and fabric enthusiasts! This book contains listings that will help you find over 5,000 shops! This is your guide to quilting, knitting, needlepoint, crocheting, weaving, spinning cross-stitch and embroidery stores in the United States. All needle arts shops re listed by state. On each state map, you can see all the cities that have needle art shops. The cities are listed alphabetically, and under each city are the needle arts shops in the city. Great gift for your fiber arts friends or get one for yourself if you like to have a handy guide to find a shop!